This problem only seems to be for people who have joined SKY, or were moved to them, this year. Streaming services from netflix, bbc iplayer down to youtube have serious buffering problems. This is not a peak time throughput problem as the victims report it as being at all times, some report it is worse at peak time though. 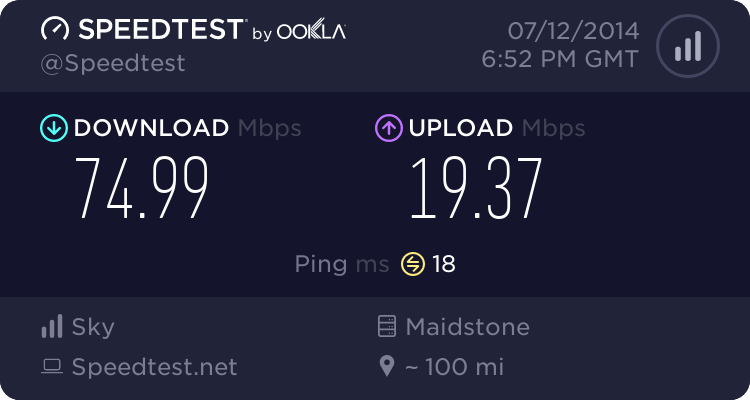 The start date seems to have been 23-04-2014: SKY have been unwilling/unable to fix it and have been unwilling/unable to even comment on it, not really what you would expect from an isp. ...and yes, I too experience this issue. A lot seem to be old Be users - is that a common thing, it is possible the network is slightly different for them. Sounds most likely that there are CDN, peering or routing issues. Even more so if Sky content hosted inside the network is playing well. I have also noticed it seems to be ex Be users... Seems strange for something as basic as YouTube to be not working. I know that Sky allowed a lot of users to move across without taking line rental or calls, meaning that unlike most Sky customers they will be on a different piece of equipment in the exchange as they are not full LLU. Sky don't allow users to sign up without line rental etc nowadays for whatever reason but Be users will be using this equipment... Could this be causing the issues? Just a thought perhaps wildly wrong. Unless they have taken the very odd step of connecting them on WBC then their broadband will be on the Sky DSLAM - normal SMPF. I can think of two scenarios in which they would have put people on WBC. The more likely is that their DSLAM is full. The less likely one is that they do not have LLU at that exchange. Were there any Be LLU'ed that aren't Sky LLU? I wouldn't have thought so. It's easy enough to find out if someone is on WBC or LLU. I've been with sky LLU for many years and currently performance is great. One thing i actually make great use off is Netflix. Never had any issues. I'll point out that sky upgraded my exchange them self years before the takeover of the other isp thing. And its a rural exchange which i expect helps keep contention down. I've actually find Sky to be more reliable than O2/Be* was and have had no issues with streaming on Sky. It is important to use Sky's DNS servers as these will (/should) point you to the best server for a domain. If Sky's DNS isn't working for you then try Google or OpenDNS. Changing DNS server can make a big difference because you could be pointed to a different server for the same content and that route/server might be better.